"The Library of Rescued Memories" is an exhibition based on Jewish family stories from fifteen different countries, and the old family photos that go with them. The exhibition tells the story of the 20th century from the perspective of our interviewees: they came from families that were bakers and factory workers, teachers and nurses, translators and doctors, administrators and bookkeepers. The exhibition is filled with stories about childhood, school, love, marriage, building a family, and also about how people survived the Holocaust, how they could start their lives over. This exhibition is meant to be like a giant photographic family album you can walk through. "The Library of Rescued Memories" was created in 2009 and premiered in Linz, Austria on Oct 26, 2009 as a project of "Linz 2009 European Capital of Culture". With 110 roll-up banners in English and German, it is our largest exhibition. It consists of stories from three geographical areas in Europe: Central Europe, the Balkans and countries of the Former Soviet Union. Centropa exhibitions are not to look at, they are to engage with. 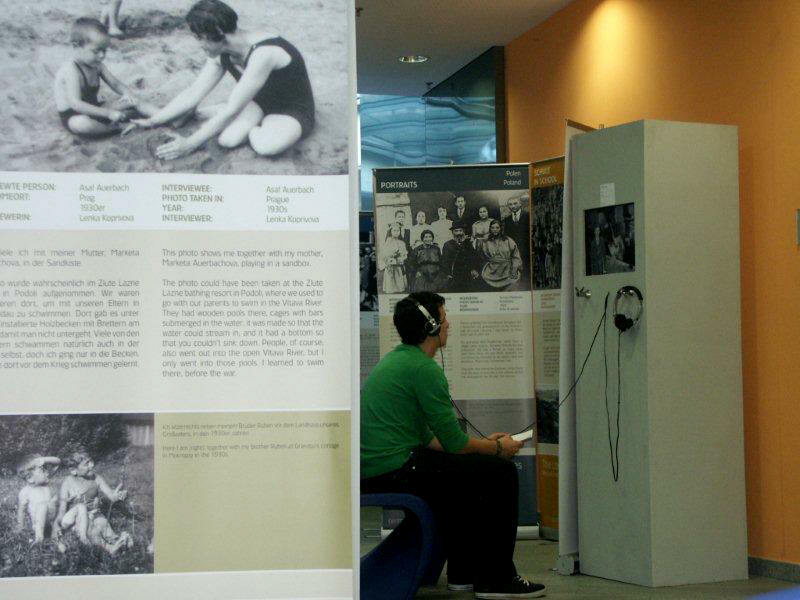 The personal stories of our Jewish interviewees make this exhibition interesting and unique. Thanks to the teachers who cooperate with Centropa we have developed several ideas for using the exhibition in schools - our most popular program based on this exhibition is the student tour guide method, where students are trained to be the guides for the exhibition.